The location is very good. And check out is very fast. Everything was good. 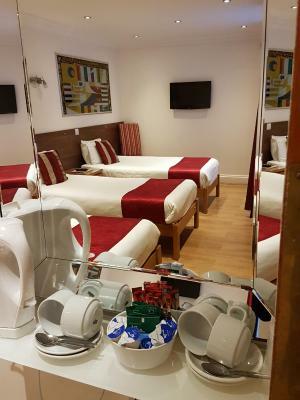 You don’t come to London to spend time in a hotel. Location. Near train station. That’s all. Nothing else to like about this hotel. Do not stay in this hotel. They overcharge and refuse a refund. Then the staff are very very rude. Especially to Asians. 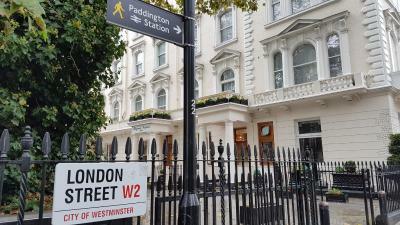 Location near Paddington is pretty covenient to travel around London. 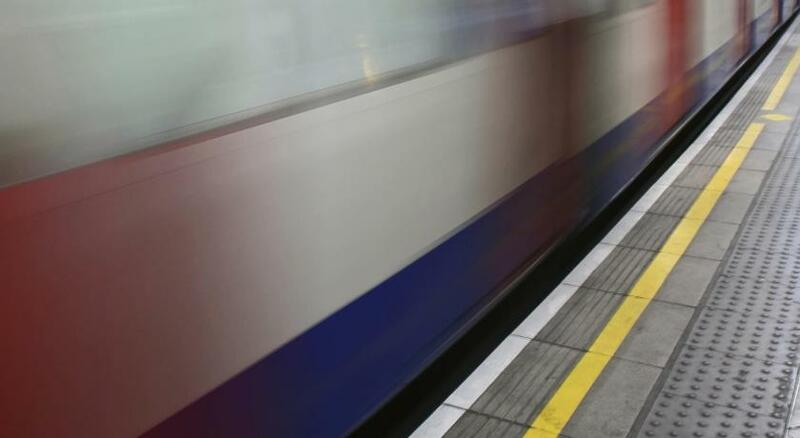 Close to 2 tube stations. Very clean and great staff. 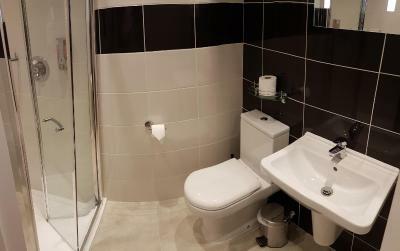 Clean and renovated bathrooms. 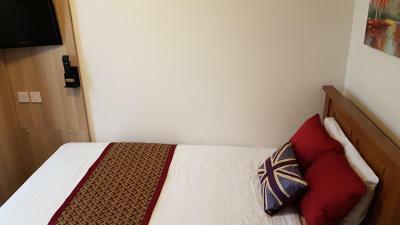 Perfect location with 3 min walk to Paddington Station. Very convenient place. 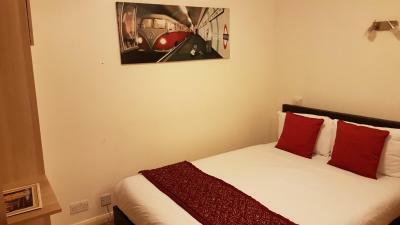 Close to the Paddington station which has a direct train from the airport. Did not eat at hotel but many restaurants close by. We caught a 45 minute cab ride from the airport, but once we were there it was the perfect location. Paddington Station was nearby (5 min walk) so we quickly figured out how to navigate the tube, as it would get us quickly and safely everywhere we needed to go. 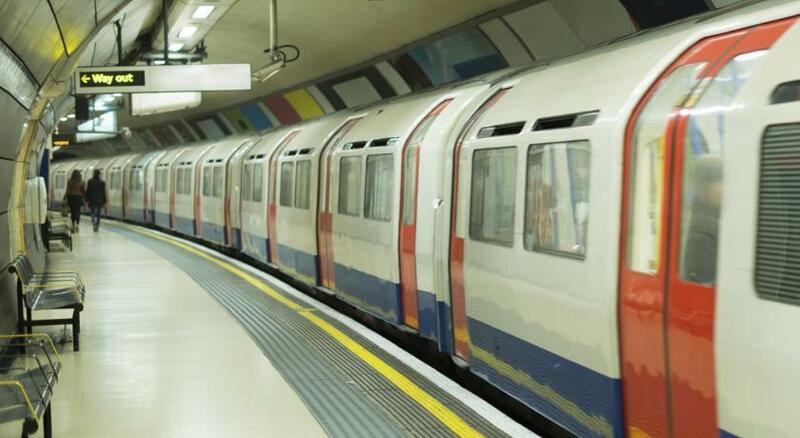 BUT, remember #mindthegap! With the location, we had several pubs, restaurants, stores, etc... at our fingertips. We were a half hour walk to Harrod’s shopping center, and a ten minute walk to Hyde Park—best vanilla icecream there in my entire life. YUM! It was being served from a Rolls Royce. So many sights and sounds to enjoy. Hotel was clean. 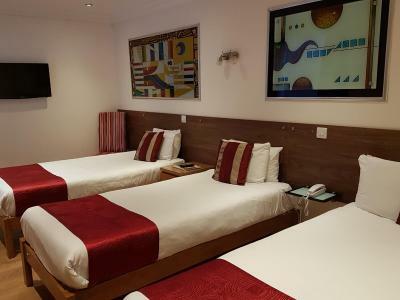 By American standards, the hotel room would be considered small, but honestly it was fine for our family of 4, as we mostly were gone sun up to sun down exploring the city. We even took a trip to Harry Potter—amazing! Felt safer here than New York! 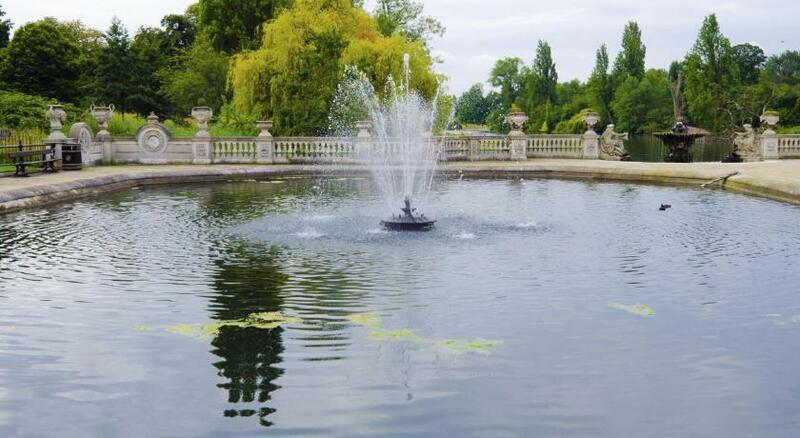 Loved London and can’t wait to return. I’d definitely come back to this hotel. 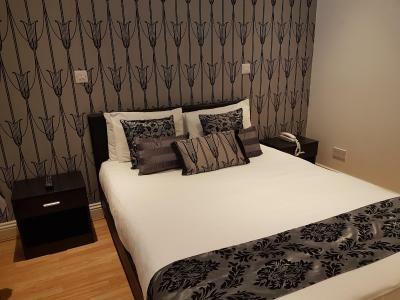 Westpoint Hotel This rating is a reflection of how the property compares to the industry standard when it comes to price, facilities and services available. It's based on a self-evaluation by the property. Use this rating to help choose your stay! 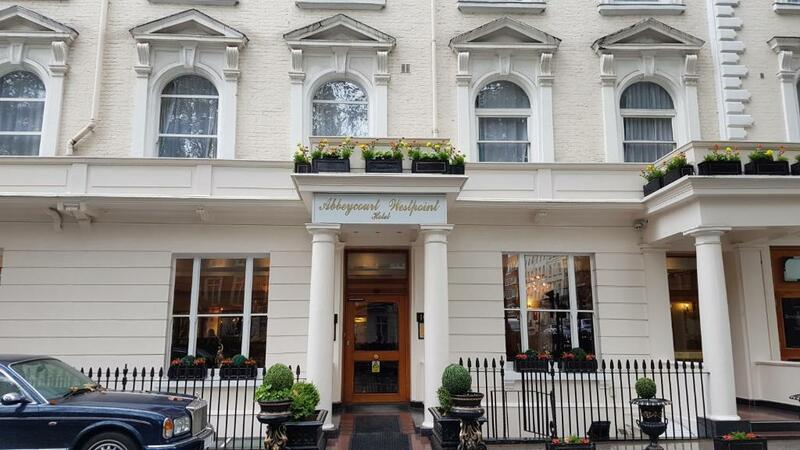 Enjoying a central location near Hyde Park, Westpoint Hotel is an attractive Georgian building set within a 2-minute walk from Paddington rail and Underground station.Free WiFi is provided on site. 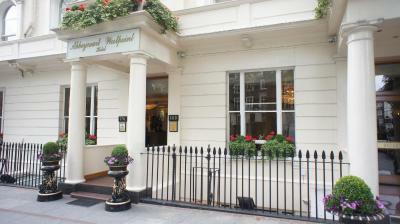 Located in the tranquil avenue of Sussex Gardens, the hotel is just a 3-minute walk from Hyde Park. Oxford Street and Marble Arch are less than 0.6 mi away. 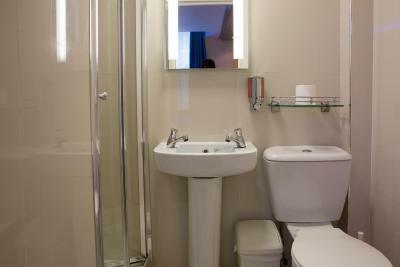 Each bright room has a TV, free tea and coffee, and a private bathroom with a hairdryer. 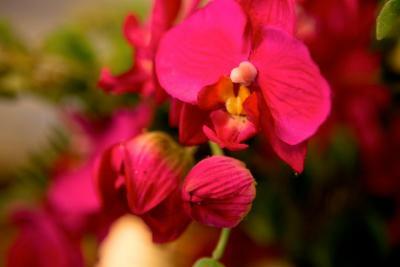 On arrival, guests can purchase a continental breakfast offering a selection of pastries, croissants, yogurt and cereal. 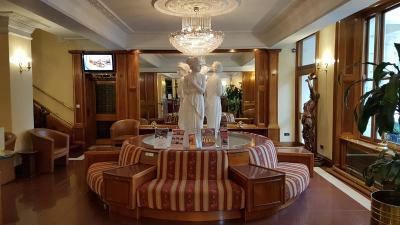 Westpoint Hotel also has a lounge area, where guests may relax. 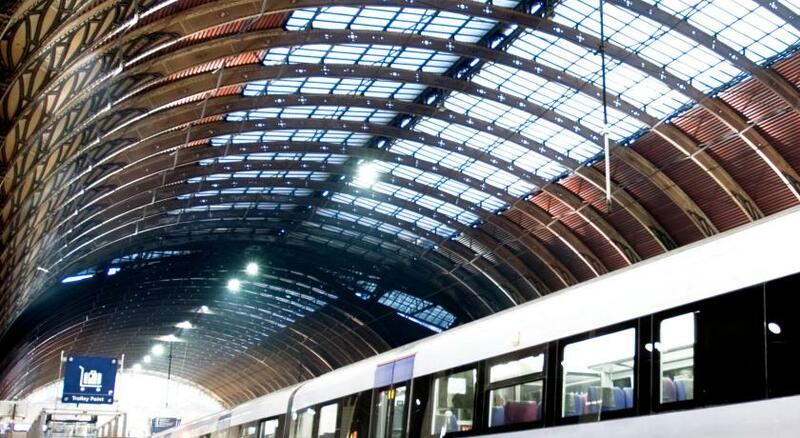 Paddington Station provides access to the Heathrow Express service to Heathrow Airport. 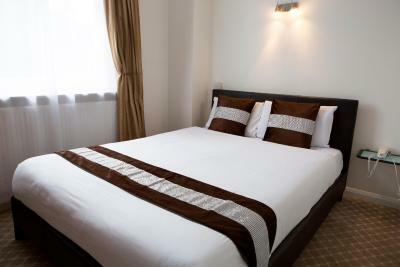 When would you like to stay at Westpoint Hotel? 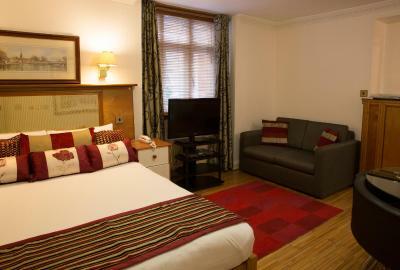 Each bright, well furnished room has a TV, free tea and coffee and a private bathroom with a hairdryer. 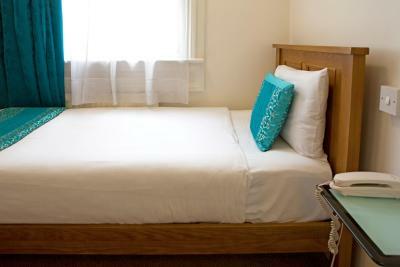 An baby cot/crib can be placed in the room upon request. Extra costs may apply. 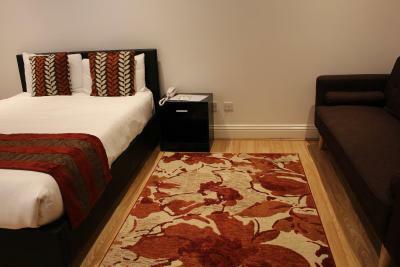 Each bright, well-furnished room has a TV, free tea and coffee and a private bathroom with a hairdryer. 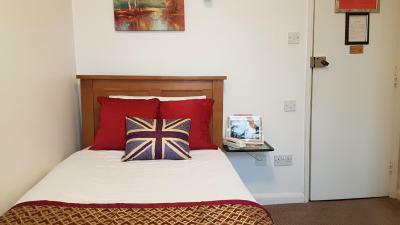 An extra bed or baby cot/crib can be placed in the room upon request. Extra costs may apply. 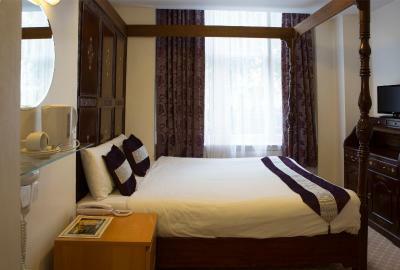 Please note that some Double rooms are located on the lower ground floor. 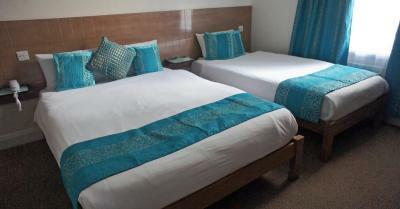 Please note that some Triple rooms are located on the lower ground floor. Bed configuration is subject to availability and cannot be guaranteed. 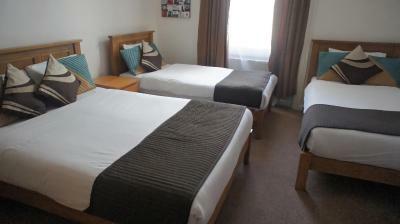 Please note that some Quadruple rooms are located on the lower ground floor. This apartment has a seating area. 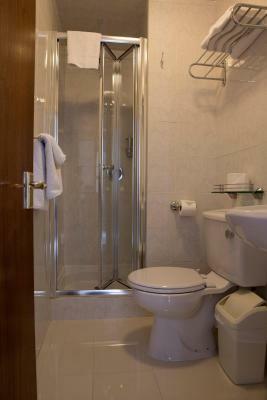 Please note that some One Bedroom Apartments are located on the lower ground floor. 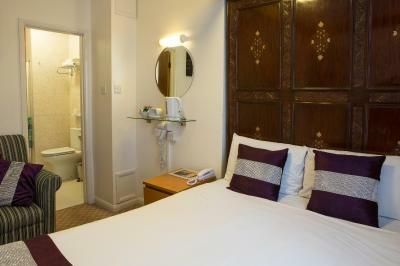 Please note that some Compact Double rooms are located on the lower ground floor. House Rules Westpoint Hotel takes special requests – add in the next step! Westpoint Hotel accepts these cards and reserves the right to temporarily hold an amount prior to arrival. 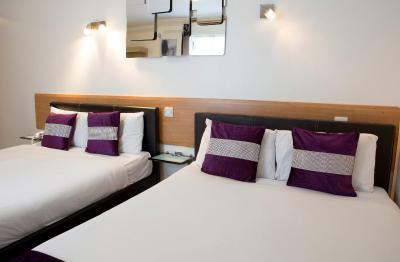 For bookings of 3 or more rooms, your deposit will be nonrefundable. Please note parking is subject to availability on arrival and cannot be booked in advance. Vans, pickups and commercial vehicles are charged at GBP 100 daily. Parking times are from arrival time until 10:30 on the day of check-out. Please note that the credit card used for the reservation will be required at check-in. Breakfast can be booked on arrival at the hotel. Please inquire at reception. The glass shelf with cups and super mini kettle was extremely narrow and I had to be super cautious taking anything from there - I expected at least kind of a tray. Also the hair dry is located just under the shelf, so had to remove the stuff from the shelf to use it. Location and the view were great. The room was very warm. There was a sewer smell in our first room. Hole in the ceiling with a rag stuffed in it. 3 bath towels, no facecloths and no shower mat. World's most uncomfortable sofa. Cracked paint at face level for the person sleeping on the left side of the bed, which was pushed up to the wall. The wifi we were told to use worked only with Android phones and not iPhones. 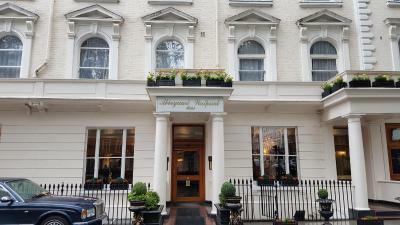 The location is excellent, close to Padding train and Tube stations, close to Hyde Park, lots of small shops and restaurants close by. The room was clean, and when we complained about the smell, we were moved to a different room. The front desk staff was either very helpful or not helpful at all. Excellent customer delivery service overall. Welcoming and very friendly staffs. 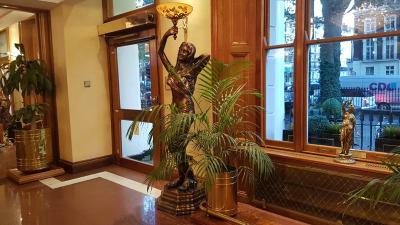 Augusto Sala was readily most helpful at all times and a very special staff at the hotel. He made all the guests most welcome and settle in the hotel. An incredible staff with high potential skills in the hospitality business. Highly recommended. I'm not gonna lie, but slamming the doors felt like hell! I don't know if people are aware but they can ease the closure of the door especially at eight in the morning. It was very noisy in the morning seriously ! That the room was very cosy and cute. Also it was clean and comfy, I like the fact that I had like a small bar/like on the side of the bed next to the window and it was perfect! The room was very small, basic continental breakfast. I asked for gluten free bread - didn't get an answer, nor gluten free bread. 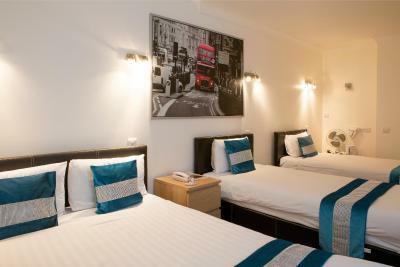 Good location just off Paddington Station. 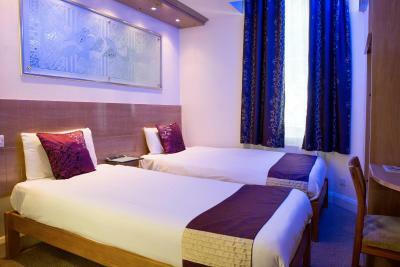 The room was clean, pleasant staff. Apart from the minor hiccoughs at the beginnig which were soon dealt with the rest of the stay was fine. The only thing that could have been improved is the shower which took longer than usual to drain. Only a minor thing but might bother other people more. 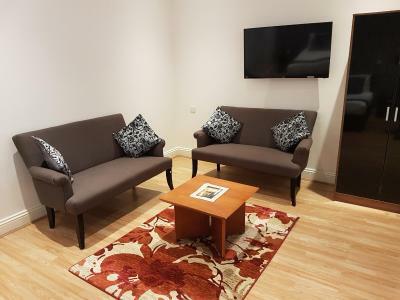 Originally we had booked a family room for 4 people and when arrived we were given a room in the basement (lower ground floor). Unfortunately there were some bags of rubbish outside the window and the bathroom had a very strange and strong smell. As we were staying there for two nights, we couldn’t really stay there for with those issues. 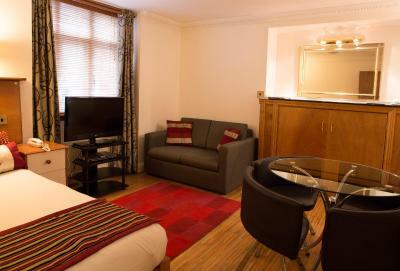 One quick conversation with Chris on reception who was very aplogetic and we were upgraded to a family apartment with two very comfortable bedrooms, living room with TV and DVD player as well as fully fitted kitchen and bathroom. These made our stay so much more enjoyable and changed our initial impressions 180 degrees. 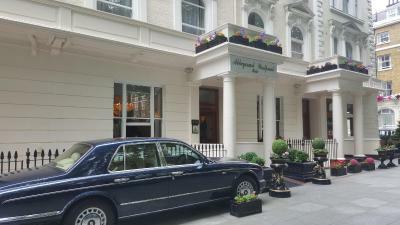 With easy access to Paddington Station it was just 5 minutes walk away to catch the Heathrow Express. 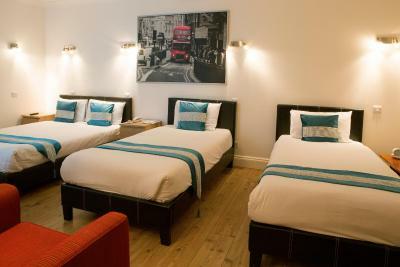 I would recommend this hotel to anyone especially families who need a a bit more space for their stay in a London. Breakfast!! For 8£ per person you will get only fruits and cereals.... So we went to the cafe next door and we got full english breakfast for 7£!!!! Something to consider for hotel management!! 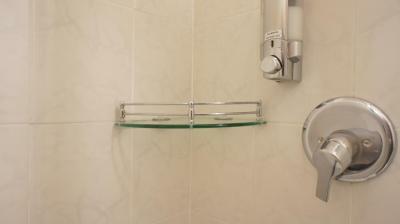 The shower height is too low and during the morning the water wasn't hot enough. The hotel doesn't take responsibility for the personal belongings inside the room, so you can't keep your valuable things inside the rooms. 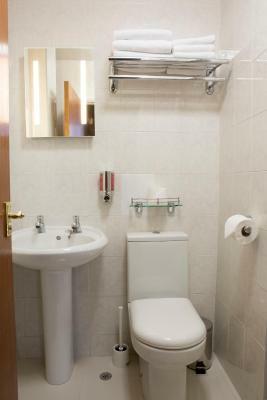 Small room and tiny bathroom. 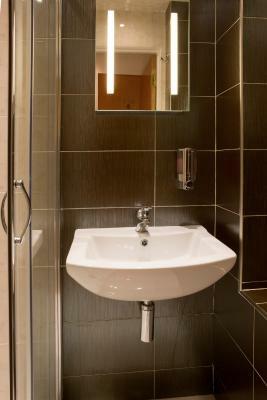 We could hear people showering in the next room but thought they could have been in ours! 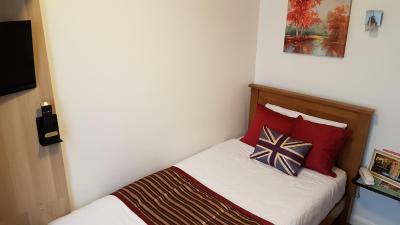 Great location, only 3-4 minutes walk from Paddington station. 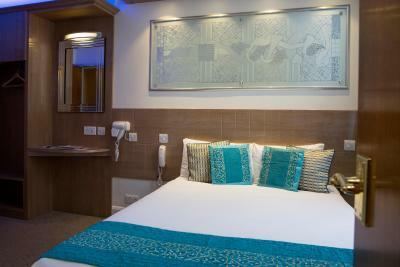 Clean and comfortable beds.